Jeremy Lafreniere began Jiu-Jitsu as a student of Royce Gracie in 1997 and is the founder of Capital MMA & Elite Fitness. 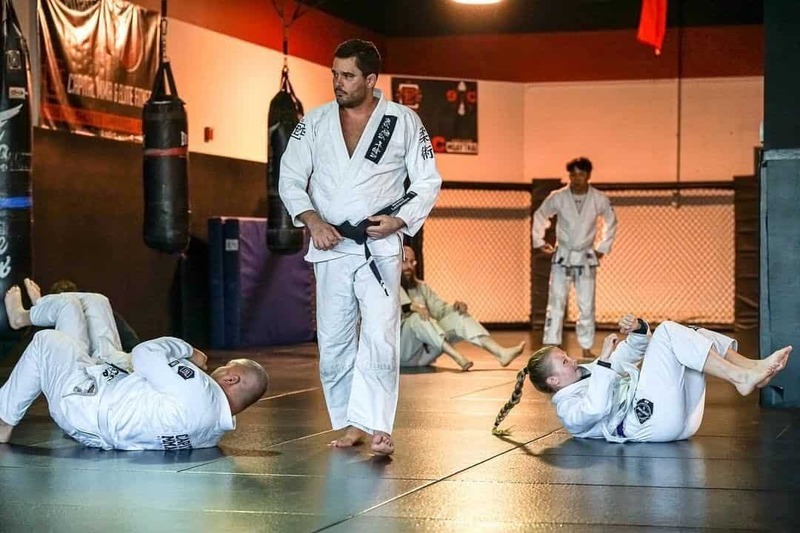 He is a Gracie Brazilian Jiu-Jitsu black belt under Royce Gracie, an elementary school STEAM teacher, husband, father, business owner, and coaches BJJ and MMA classes at Capital’s Alexandria and Loudoun, VA locations. Jeremy was recently featured on episode 7 of the Fight Philosophy podcast. Jeremy discussed his general philosophy of service to his students, his martial arts journey, Jiu-Jitsu training, competitions, coaching, and more. Shoutout to Taylor Sims for the amazing picture! Gracie Brazilian Jiu-Jitsu black belt under Royce Gracie.